Box Text: Full-version games: Bones, Champion Chess, Comet Busters, Craps, Oracle of Runes, Quomino, Slay, Smoke 'Em Poker, and MORE! Acey Deucy, Big 8 Solitaire, Chinese Solitaire, Crazy Gravity, Cribbage, CyberDice, Dominion, Dominoes for Windows, Fortune Raiders, Mega Slots for Windows, Patolli, Pinball, Poker Challenge, Poker Squares, Pro Backgammon, Quarry, Race Track, Ringjongg, Rummy 500, Spades, The Maze, The Memory Jiggler, Ultima 21 Blackjack for Windows, Video Baccarat for Windows, Video Keno for Windows, WinBlocker, WinCraps, Z and Z Dots, and many more. - Contains games complete with sound and state-of-the-art graphics. Shareware is an exciting marketing method which allows you to try top-quality software before you pay the author. With Shareware, you cannot be disappointed spending money for a program that's not right for you. The small fee you pay to us covers only the duplication and distribution costs, and permits you to evaluate the program. If you continue to use the program, you must send the author an additional payment which may entitle you to technical support, printed manual, bonus programs and more. Your payment supports authors, enabling them to continue writing newer and better Shareware programs. 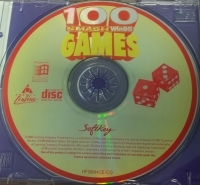 This is a list of VGCollect users who have 100 Smash Win95 Games in their Collection. 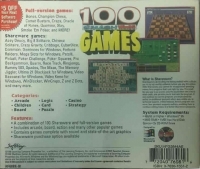 This is a list of VGCollect users who have 100 Smash Win95 Games in their Sell List. 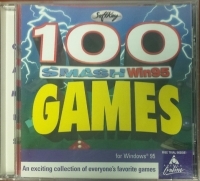 This is a list of VGCollect users who have 100 Smash Win95 Games in their Wish List.